I have posted for you my weekly meal schedule as well as my grocery list. 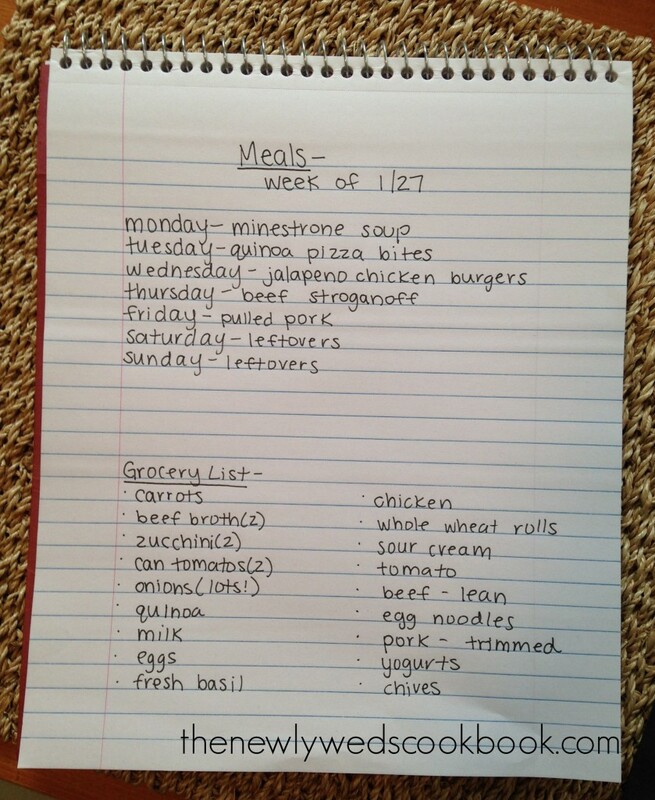 I am so excited for this weeks dinners! I’ll have you know that I have never made the quinoa pizza bites before so I will have to keep you updated on how they turn out! What are you guys making for dinner this week?! Let me know by commenting below. Can you do this every week so I can be just like you!? Thank you Kristin! 🙂 I’m glad you like it! Stay posted for tonight’s soup!